Afternoon all and welcome to a glorious Autumnal afternoon in SE London. Sun’s out and not a puddle in sight. Pratley dropped. Bielik back to CB. Taylor starts. 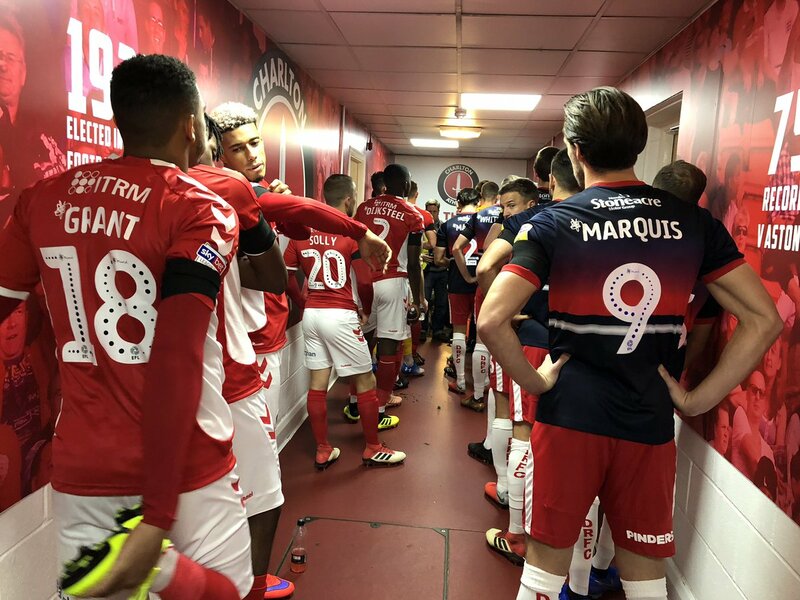 Charlton manager Lee Bowyer has named the same line-up that beat Barnsley at The Valley a fortnight ago for today's game against Doncaster Rovers. He described that performance as the best since he took charge of the club with the Addicks winning 2-0. It means there is one change to the team that started in the club’s last league outing away to Rochdale as Ben Reeves replaces Darren Pratley, with Krystian Bielik expected to drop back into centre-half. 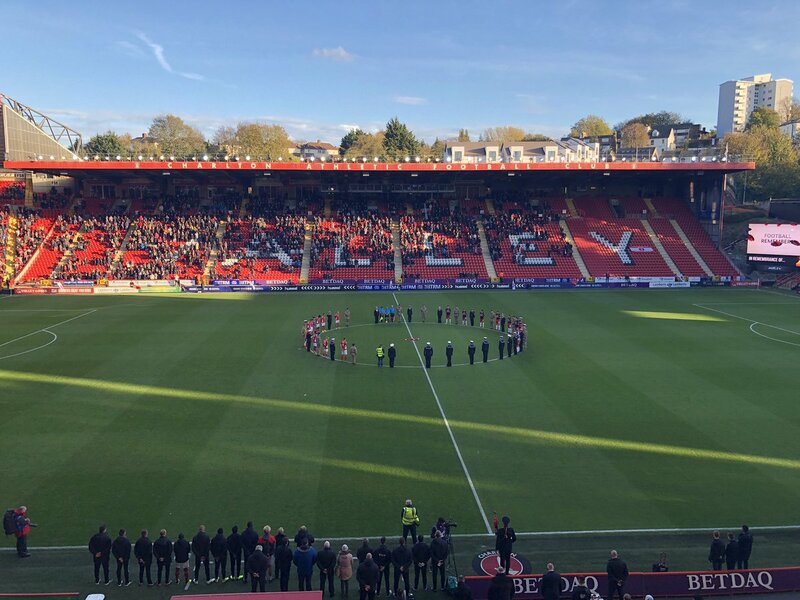 If Charlton lineup as they did against Barnsley it would be in a diamond formation with Jed Steer in goal, a back four of Anfernee Dijksteel, Bielik, skipper Jason Pearce and Chris Solly. Josh Cullen played the holding role that day with Reeves and Joe Aribo ahead of him and Jamie Ward just behind Karlan Grant and Lyle Taylor. Full commentary of the game is available on Valley Pass from 2.45pm today. Play like we did against Barnsley and we will win. 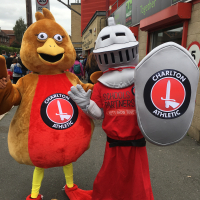 "Charlton manager Lee Bowyer has named the same line-up that beat Barnsley at The Valley a fortnight ago for today's game against Doncaster Rovers. He described that performance as the best since he took charge of the club with the Addicks winning 2-0." Rather than tinkering with the team, Bowyer has picked the team that he says has put in the best performance. That day the team worked really hard for each other and defended as a unit. Good team, really hope we’re not being short term with Taylor’s fitness though. He’s too important to gamble with like we did with Page. 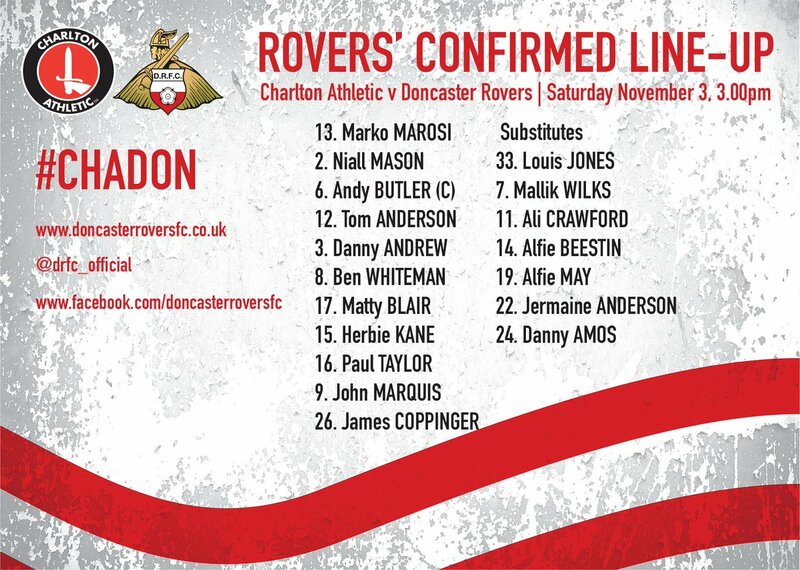 Who are the two Doncaster players missing ? Ground is very very empty. Thanks to ross1 and everyone in advance for the updates ! Much appreciated by those of us exiled overseas. Their no. 9 was a major marquee signing.